Látex y Neopreno líquido para coladas, se utilizan aplicando a brocha o haciendo una inmersión. 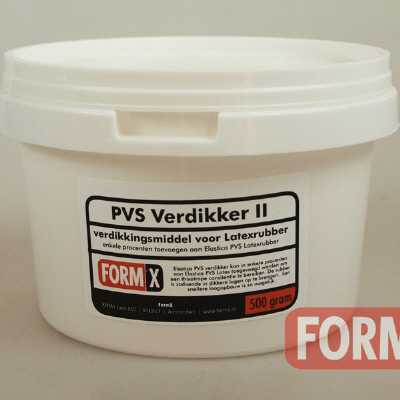 PVS Latex / 1 ltr. Látex prevulcanizado para fabricar moldes de goma muy elásticos. Botella 1 ltr. 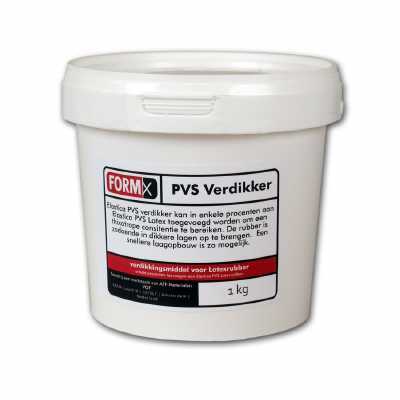 PVS Latex / 2,5 ltr. Látex prevulcanizado para fabricar moldes de goma muy elásticos. 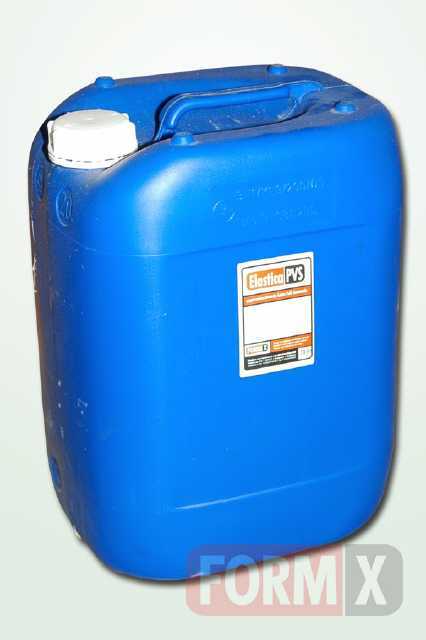 Botella 2,5 ltr. Goma de látex prevulcanizado en bidón de 10 litros. 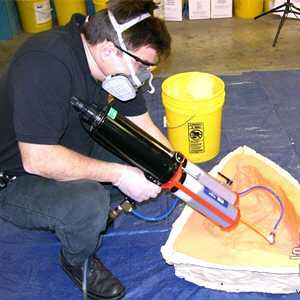 A pre-vulcanised latex compound depositing a white ﬂexible rubber flm. 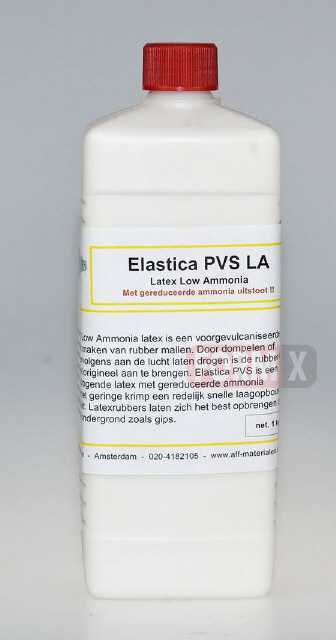 Elastica PVS latex moulding compound has been specially designed for cast moulding with plaster moulds in the manufacture of display models, face masks, toys, theatrical „props“ etc. 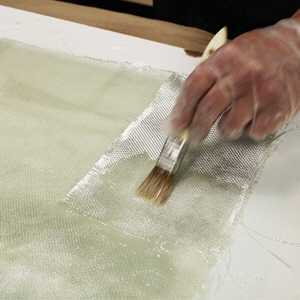 This latex is sensitized to give a speedy build up on plaster and a quicker turn round of available moulds. 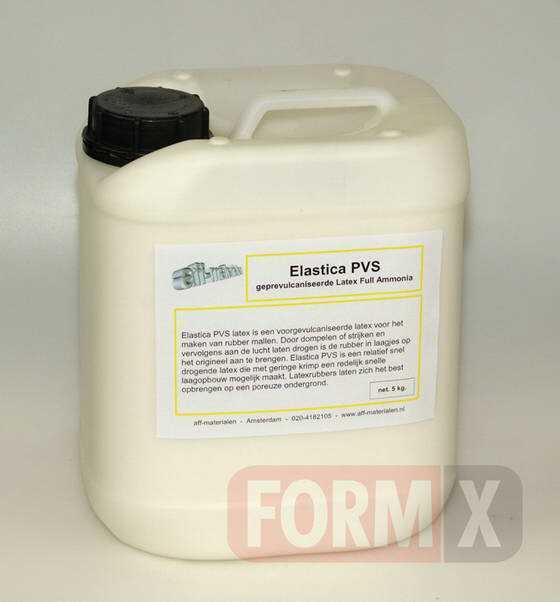 Elastica PVS produces a strong, ﬂexible article with good ageing properties. 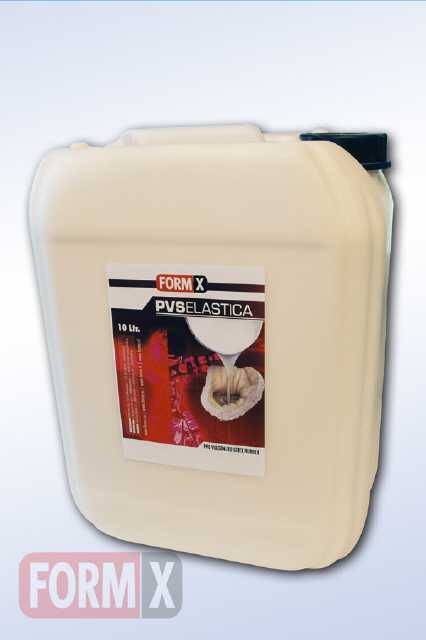 Stored in well sealed lacquered containers, Elastica PVS latex compound will keep satisfactorily for at least 12 months from date of manufacture. Latex should be protected from frost and stored at a temperature above 5oC, but not above normal room temperatures.Contamination of the latex with copper and other heavy metal must be avoided at all stages of storage and use. Latex contaminated in this way will age rapidly.